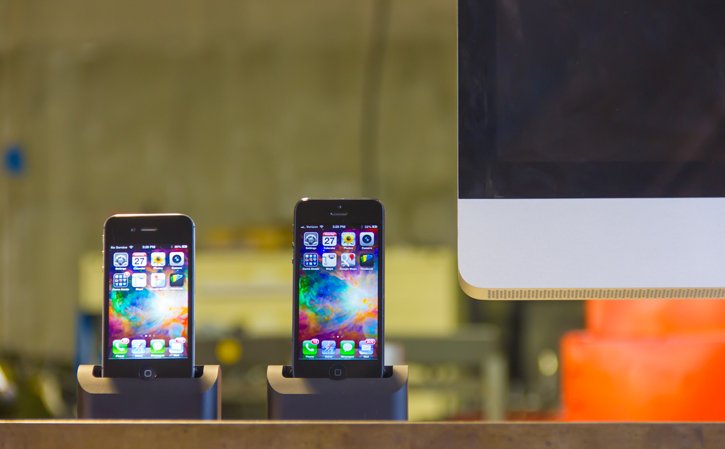 The most influential iPhone 4S dock is now ready to take on the iPhone 5. The made-in-the-USA Elevation Dock is a beautifully machined, weighty solid aluminum dock fitted with a removable Lightning connector assembly that works with all sorts of iPhone 5 cases. 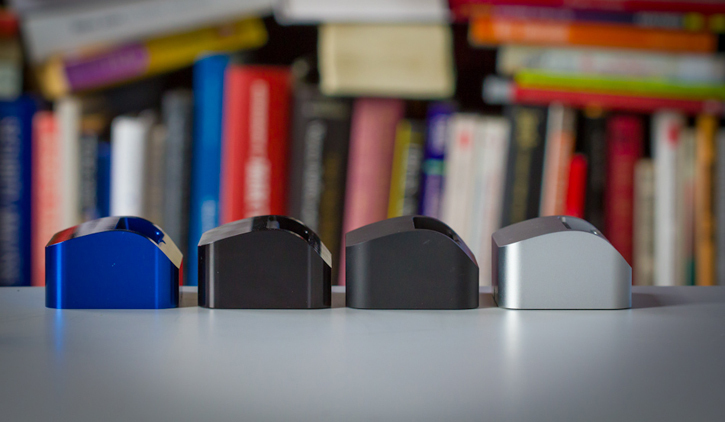 Some of the aluminum finishes the iPhone 5 Elevation Dock comes in include polished anodized blue and black colors as well as glass bead blasted matte silver and black finishes which closely match the finish of Apple products. We haven't seen much if any iPhone 5 docks that are at the Elevation Dock's level, it really is absolutely stunning - and functional too. Besides having the ability to use virtually any case on your iPhone 5 with the Elevation Dock, docking your device will provide you with the perfect portrait viewing and FaceTimeing camera angle too. The iPhone 5 Elevation Dock doesn't feature an audio-out port like its iPhone 4S sibling nor does it come with a pre-installed Lightning cable or connector, so you're going to have to use the one you have on hand. And it doesn't come cheap either at $89.